With the release of patch 7.3.5, Legion is essentially winding down, and we are entering the typical lull in content for World of Warcraft. Blizzard has other plans, with the release of the final raid tier and Battle for Azeroth’s estimated release date for September 21st, 2018, we are looking at possibly the shortest gap between expansions in a long time. This is not all either. Blizzard seems to be bridging the gap between expansions in a way that is very different from past expacs. The change in direction is welcome since it brings on a bit of fluidity, rather than a hard break, like how there was with Pandaria and Warlords of Draenor. What came with the patch 7.3.5, which was released mid-January, is level-scaling for all old zones. Starting zones cap at level 15, classic zones 15-60, BC & WOTLK 61-80, Pandaria & CATA 81-90, while WOD is still 90-100. This brings on brand-new freedom for players because you can essentially “choose” what zone you want to level rather than follow the familiar path that has defined WOW for over a decade. 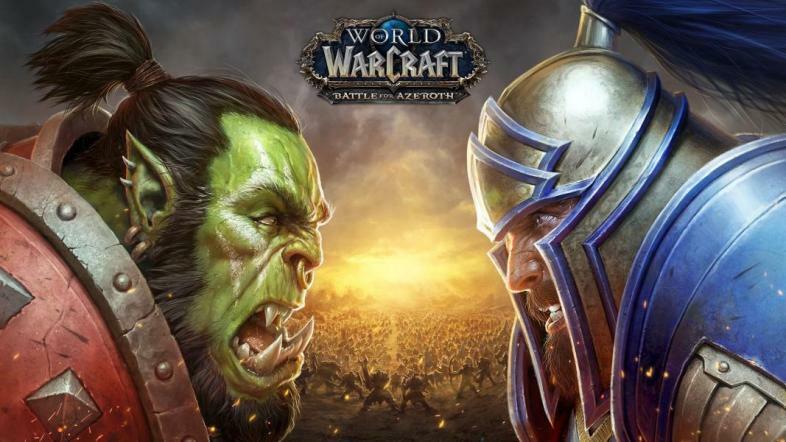 What also came out with this patch is the story that bridges Legion and Battle for Azeroth. At the end of Legion, Sargeras, the eternal “big-bad” of the Burning Legion plunged his sword into Silithus, thereby wounding the world soul of Azeroth. A new resource emerges in Silithus, Azerite, which ignites this faction war anew between the Alliance and Horde. If you pre-order Battle for Azeroth, players can unlock four of the six announced allied races before its release. A more in-depth analysis of them will come later, but the requirements do not stop at a pre-order, but also require exalted reputations with designated factions. Now to jump into what’s new coming with Battle for Azeroth. The seeming key feature of Battle for Azeroth is that each faction is looking for allies. There are six new zones, evenly split between the factions. The alliance is going to journey to the island nation of Kul Trias and try and recruit what is essentially a fractured kingdom. Kul Trias embodies a naval and pirate theme. The three zones that alliance players will be journeying through are Trigarde Sound, Drustvar, and Stormsong valley. Kul Trias looks like an amazing city, that seems open to the world like no capital city before! It's also the Alliance home base this expansion. Trigarde Sound is a land taken over by pirates. The capital city of this area is found here and is called Boralus; it is also the set up one of BfA’s dungeons, The Siege of Boralus, which will have a very similar Court of Stars vibe. The leader for Kul Trias is in this zone, and it is Katherine Proudmoore who is the mother of Jania Proudmoore, our favorite, angry mage. Drustvar is a heavily forested area that is defined by wicker beasts and witches. The zone has an overall dark vibe, with foggy cemeteries and macabre spirits and monster around every tree trunk. Lady Waycrest is the big figure of this zone and her ancestral home, Waycrest manor is the setting of the dungeon for Drustvar. Stormsong Valley has maybe the strongest nautical themes, being the home base for the island’s sea priests. All of Kul Trias’ ships pass through a port here to be blessed. The Shrine of Storms is a place of great importance to these sea priests and is the location to the final dungeon for the alliance side. The horde will turn to the Zandalari empire for help in their renewed struggle against the alliance. The Zandalari have made appearances before, most notably in Pandaria, but we have never ventured to their homeland before now. The three zones that horde players will journey to are Zuldazar, Nazmir, and Vol’dun. The golden city of Zuldazar, isolated for centuries the ancient kingdom needs the horde help to fight conflicts both outside and within this proud kingdom. Zuldazar is the capital of the continent and epitomized by Aztec/Mayan flavors with dinosaurs galore. It is the oldest city in Azeroth and shows its age with a rich troll history. The city is ruled by King Rastakhan and Princess Talanji. The dungeon here is called, Atal’Dazar, which will contain undead trolls, undead dinosaurs, and more dinosaurs. It is the resting place for the troll kings of the past. Nazmir is a swampy, dark region, similar maybe to the Swamp of Sorrows from the Eastern Kingdoms, but with more troll flavors. There’s a blood moon that hangs over land and blood trolls will sabotage the player’s attempts to transverse this landscape. Bwonsamdi, the Loa of Death, and much-anticipated character is a major figure found here. The dungeon here is called the Underrot. Vol’dun is a desert zone that will be where the horde encounters two races struggling with one another. Players will befriend the fox people, the Vulpera, as they deal with the Sethrak, a snake-based race. The dungeon here is actually the Sethrak’s holiest site, the Temple of Sethraliss. All sorts of new and famaliar faces here! From Left: Void Elf, Lightforged Draenei, Nightborne, and Highmountain. Along with heading to the island nations for allies, the Alliance and Horde are finding allies from among the Broken isles as well. Each faction will get three new allied races, which note are not sub-races. Four of the announced races have already been released via pre-order bonus. Each race comes with their batch of racials, mount, and heritage armor, which players can get when they level an allied race character from 20 to 110. The classes allied races can be will be slightly smaller than the original races, for example, Lightforged Draenei can be paladins, mages, hunters, warriors, and priests, but not shaman, death knights, or monks like the original Draenei. The alliance has recruited the Lightforged Draenei and Void Elves to their ranks. Both races were introduced in the tail end of Legion and provide an exciting new look for both BC races, and for the first time gives the blood elf model to the alliance side. The dark iron dwarves will be released when BfA drops but will involve a questline and maybe a reputation requirement before players can make characters from this infamous faction. The horde has turned to the Highmountain Tauren and the Nightborne. These are two races that most players have come into contact with during Legion’s main campaign and especially through Suramar’s storyline. The third race, the Zandalari trolls, will be the group that the horde tries to leverage an alliance, which will also involve a questline and reputation gain. Legion brought with it a new way to advance and level through the expansion in the form of artifact weapons, which has been largely a success for Blizzard. Replacing the artifacts, that we inevitably lose before BfA, is a new necklace that is given to the player and has to be infused by Azerite, BfA’s new resource. It is also the resource that the alliance and horde are fighting over during this expansion. There is not much else we know about it thus far, but it will be used to possibly empower other pieces of gear as well. Blizzard seems to want these brand new to be an ode to the old Warcraft III RTS games. They will not happen all the time and will feel like a special event when they do happen, but they are otherwise heavily inspired by the RTS. They will involve players gathering lumber and iron to build various buildings and then build an army. Once the army is built, players will go out and attack the opposing commander, while defending their own. This mode will involve around 20 players, and the first Warfront will be Stromgarde, located in the Arathi Highlands. These are a somewhat familiar feature that is a carryover from Legion’s invasion scenarios. While in Legion the main purpose of these was to defeat the Burning Legion on various worlds, the expeditions will involve exploring and will not be dependent upon role, so three healers should be able to complete the scenario. Each island will have randomly generated goals, which could involve creatures, capturing points, or gathering more Azerite. There will also be either AI generated or opposing faction players on the island trying to complete the same goals so that it will be a race to the finish! Overall, the scenarios should take around 15 to 20 minutes. Battle for Azeroth will release with ten dungeons, and the first raid is, Uldir, Halls of Control, which is linked to the Titans and found in Nazmir. A boss from a future raid will be Queen Azshara, an antagonist, players have been aware of for years and may finally be able to face. PvP is changing in a large way for BfA with the PvP, and PvE distinction on realms being removed and players will now have the ability to either opt in or out of PvP. Players may also receive quests and other unique rewards for having PvP enabled to balance out the risk that is inherent in world PvP. A new battleground and a few new arenas are also coming with BfA. Blizzard is integrating its voice chat on the launcher with World of Warcraft, so there will be no need to juggle Discord or other third-party chat programs. In addition to this added socialization, BfA is introducing WOW communities, which will be separate from guilds, but players can belong to several and will help players who share common interests interact and play together. There are a few other miscellaneous things that have come with 7.3.5 as well as with BfA that players should be aware of as well. If you use the Blizzard authenticator, your backpack will gain four extra slots. With the addition of allied races, players will gain six new slots for characters per realm, but this does not increase the 50-character limit across all realms. Orcs will be able to come upright via the barbershop once BfA releases. 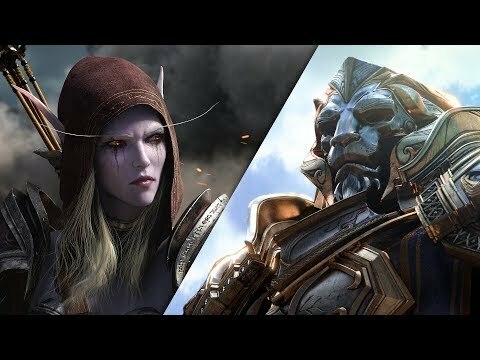 Who knows what else Blizzard has in store for us in the coming months up to the release of Battle for Azeroth, but based on what we know so far, it should shape up to be one fun ride. Always fascinated by the night sky, Alex has spent plenty of time developing and writing stories about rocketing to space. When he'd rather stay planet-side, he enjoys an ice cold PBR.